Because of Spring Recess at the local schools, classes are cancelled on Saturday, March 30 through Saturday, April 6. Classes will resume on Monday, April 8. And then in observance of Easter Weekend, we will close on Saturday, April 20th. The 11th Annual Michigan Karate Tournament was held on March 24, 2019. It was a great success. Congratulations to all who participated! Click on michigankaratetournament.com for tournament information. 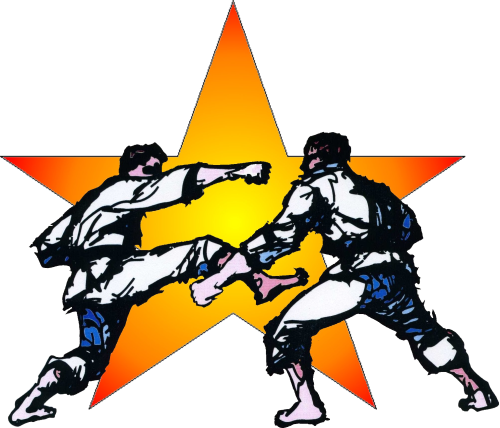 The Shotokan Karate Federation of Michigan, located in Westland, MI, proudly offers training to men, women, and children of all ages throughout the Western Wayne County and Southwest Oakland County areas. Training is a life long study of self improvement that promotes a healthy body, mind and spirit. It can begin at any age. Three programs are offered by the school. 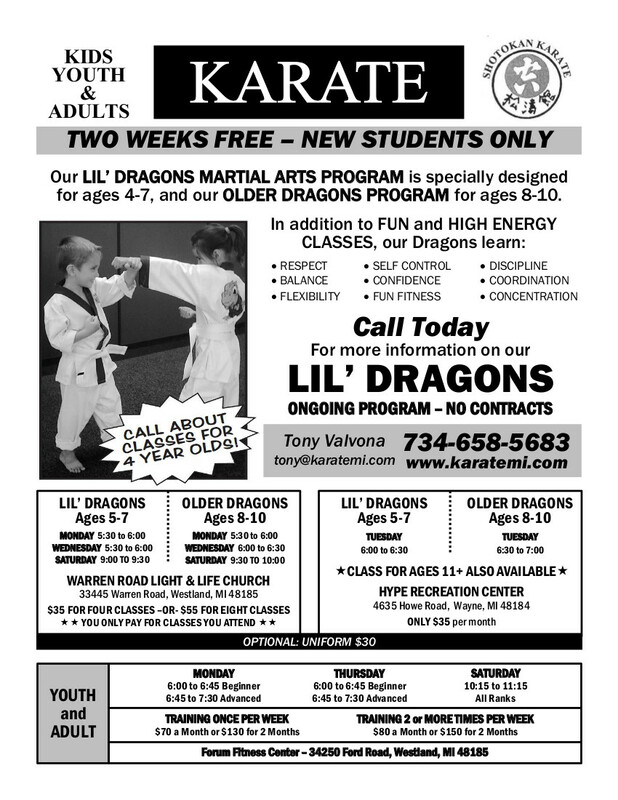 The Lil' Dragon program offers training to boys and girls from age 5 to 7. The Dragon program is specifically made for experienced Lil' Dragons and for children ages 8 to 10. Children at least 8 years old, teens, and adults are welcome to join the Traditional program. In addition to self-defense techniques, students in all programs learn respect, discipline and cooperation. Enrollment in any of our programs is always open and classes can begin at anytime! Explore this entire website for more information. If you are still unsure, feel free to contact us to find out more information about the school.